This morning I sailed into the “floating city”. Venice is the city I’ve most looked forward to on this trip. Growing up my mom told me magical stories about her time in Venice. So I was “heaps keen” (as the Australian’s say) to experience Venice and all its wonders. We went on a walking tour that led us through the winding streets, hidden piazzas and narrow passages of Venice. I saw the Doge’s Palace, St. Mark’s Square and the bridge Rialoto. 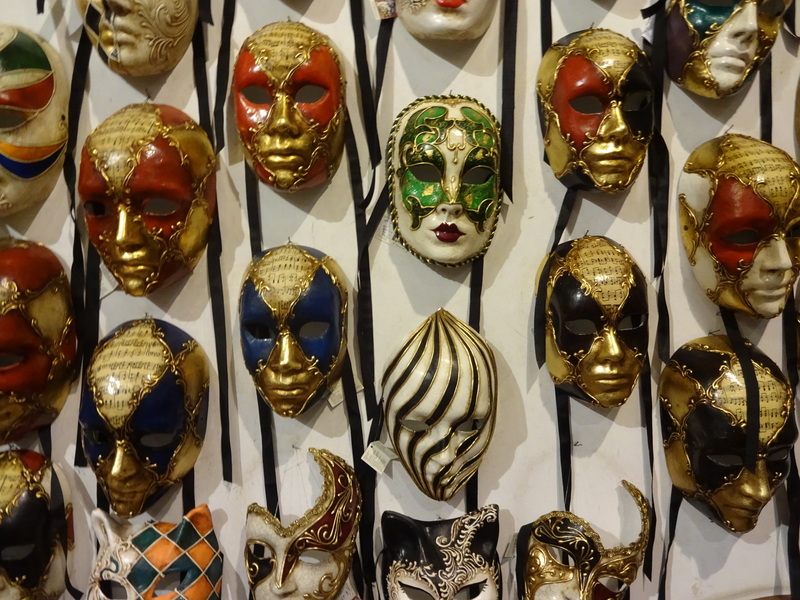 After the tour we went to a fascinating traditional Venetian mask shop called Ca’Macana. Where we met the shop owner and master designer. She taught us her techniques and told us about the different traditional masks. I bought a cat mask that is orange and teal. It will look great hanging on my wall! Then some of my tour mates and I decided to try to find the Jewish Ghetto. We walked for quite a while before realizing we were very lost. But Venice is the ideal city to be lost in! Everything is so picturesque. Every corner is more magical than the last. We settled down for lunch as a charming little cafe. I had pasta and sampled one of my mate’s black squid dish (gross)! I also tried the traditional aperol spritz drink. I wish we had more time to sit and enjoy our meals but because we were lost we knew we had to give ourselves more time to get back to the meeting point. We basically ran from the restaurant to St. Mark’s square where we were meeting for our gondola ride. It was low tide during our gondola tour…which I think really affected our ride. It was pretty smelly and we could see the sludge covered walls. 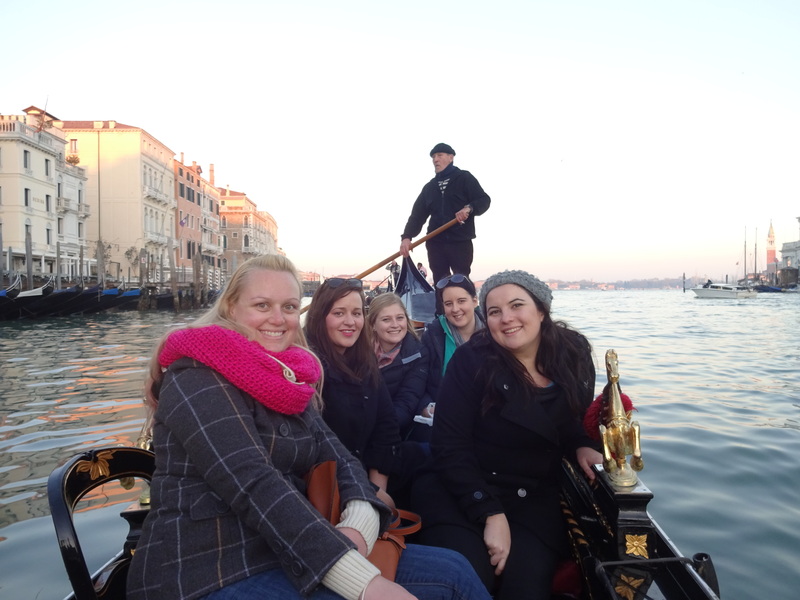 Also my gondola had six people on it. So only two people got good seats. The rest of us had to sit on uncomfortable wooden chairs. It was not the magical ride I’d dreamed of. 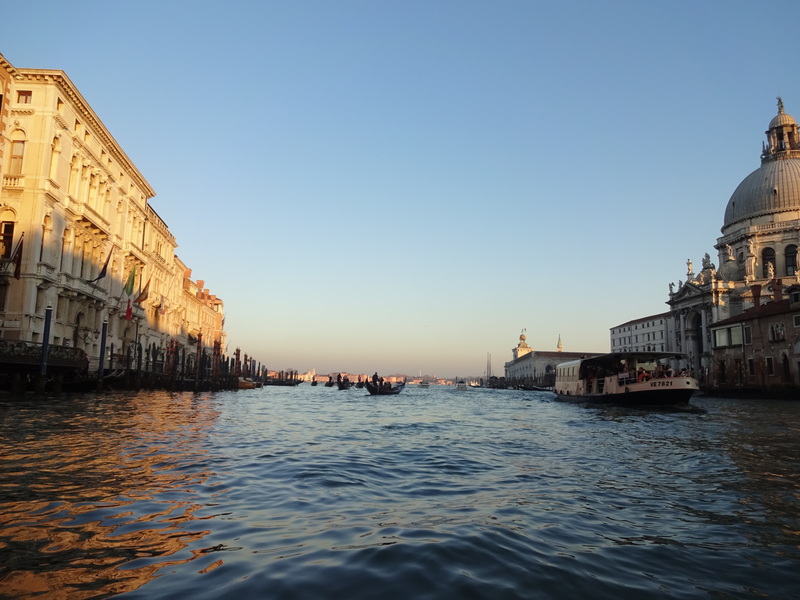 But it was nice to see Venice by gondola at sunset. I’ll have to go back take a ride just for two one day. After the water tour we headed to really nice restaurant for a great family style meal. Then we headed back to our hotel which is outside of Venice. At the hotel a bunch of us decided to extend our night and hang out at the hotel bar. We played a great game of kings (we made up a lot of rules), drank a little to much and had a genuine good time. Once the bar closed we headed upstairs and had a little hotel room party. Good, good night.